Do You Want to See our "Simple Guide to Siamese Cats"? 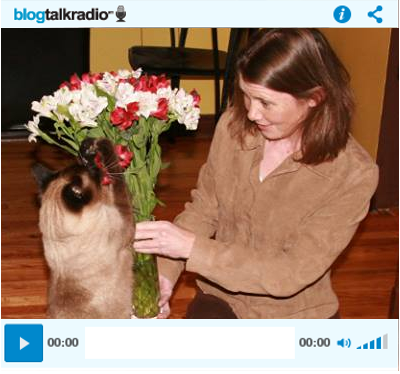 Discover the Types of Siamese Cat: Who’s Who? Siamese cats are classified into two main groups: Traditional and Modern. The Traditional group is further subdivided into 3 types: Applehead, Old-style, and Classic. are stocky and bigger-boned with very round “apple” heads. The ears are smaller and the nose has an obvious dip when viewed in profile. are medium size in bone structure, with slightly elongated faces compared to applehead. Ears are larger and the nose has a less pronounced dip. These cats tend to be more athletic looking. 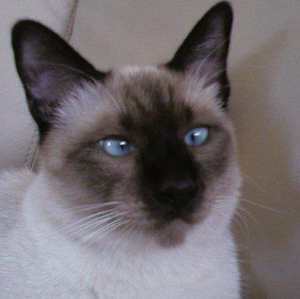 The Thai old-style is now shown at TICA and CFF cat shows along with the Modern Siamese. are still more athletic with a lighter, more elongated bodies and tails. Heads are also more elongated with larger ears that sit higher, and there is almost no nose dip. However, these cats are not extreme in any way. Like the Traditional Old-style Siamese, these cats possess the original body types that came from Siam. are the most elongated and extreme in body type. The head is shaped like a sharp, pointed triangle, or “wedge.” The eats are larger and set lower on the head, and the eyes are more slanted. The nose is wider with no dip. These cats are currently the standard show cats. This look became popular in the 1980s, but the breeding required to achieve it also resulted in increased risk of kidney failure and heart problems. Therefore while most Modern Siamese live long and healthy lives, some may die after five or six years of age. No matter the type of Siamese Cat, we here at the Siamese Cat Spot love the variety and think all are beautiful and special! What do you think? Do You Want to See Where Siamese Cats came from?